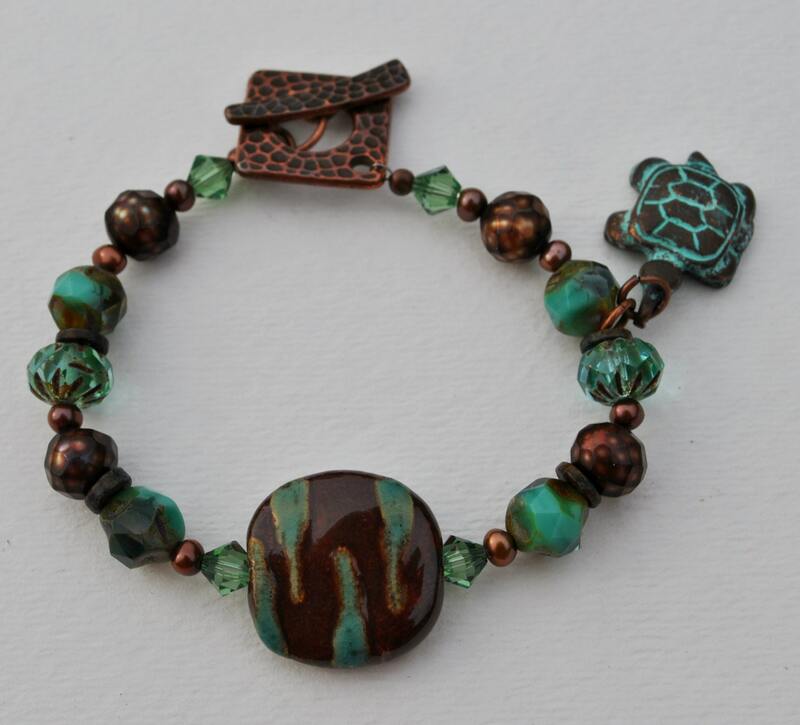 This is a fun ceramic bracelet set created with African Kazuri beads*.The color combination of brown and turquoise in the Kazuri beads , Swarovski crystals, Czech glass and pearls is gorgeous! 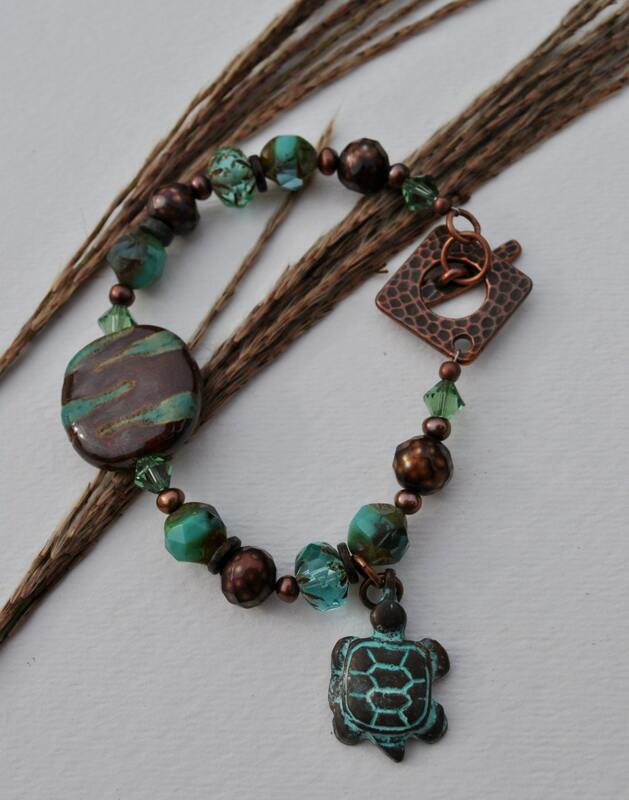 It is completed with a hammered copper toggle clasp. 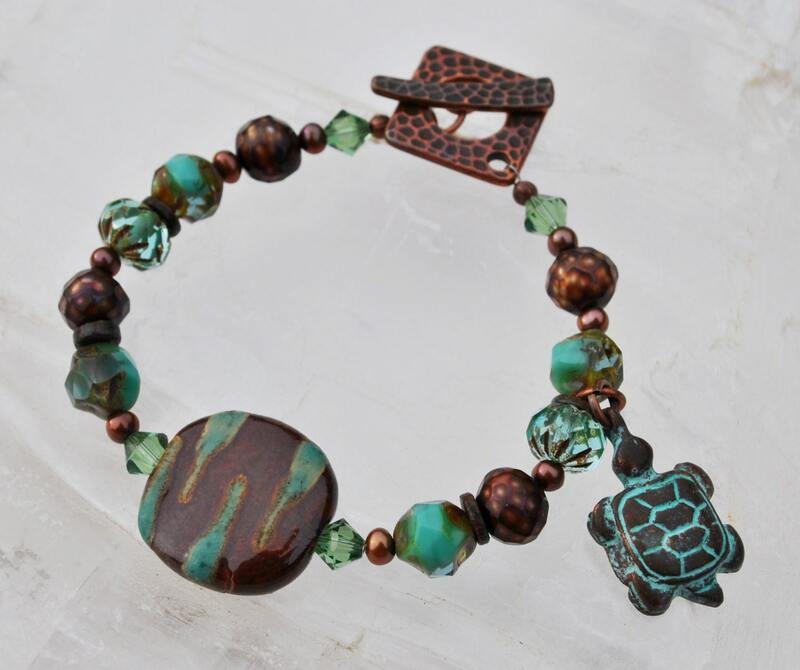 I have added a cute little turtle with verdrigris finish to make you smile! Matching earrings are included. 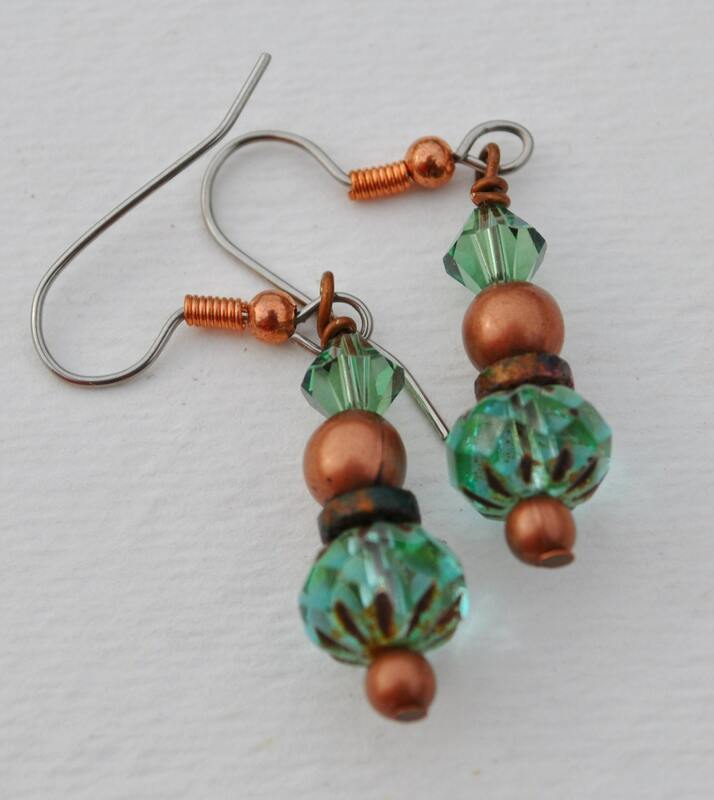 Hypoallergenic ear wires which may be exchanged for sterling silver ear wires for an up charge of $5.00. 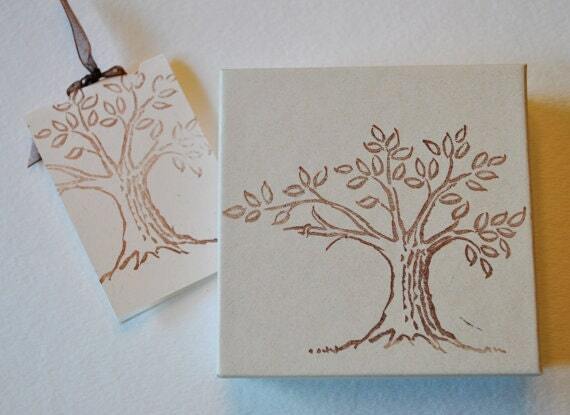 Purchase them from the site and I will assemble them for you before I ship.